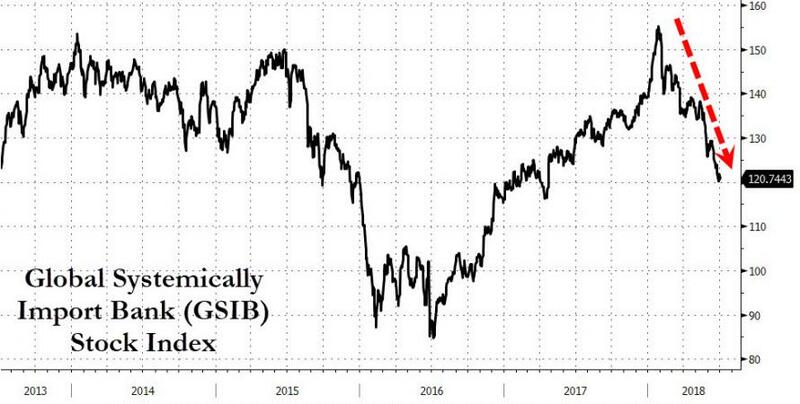 While bad loans in the Italian banking system have received a ton of attention from investors who fear that the Italians could inadvertently blow up the European banking union, it's not the only financial landmine lurking among the world's ten largest economies. To wit, while Italy has the largest percentage of non-performing loans among the world's largest economies, India isn't far behind and India's economic recovery is built on an even shakier foundation. 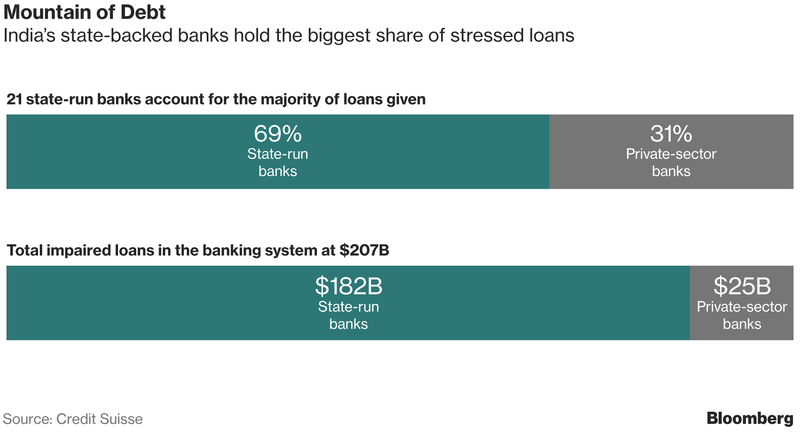 According to Bloomberg, India's $1.7 trillion formal banking sector is presently struggling with $210 billion in bad loans, most of which are concentrated within its state-owned banks. During the 2018 fiscal year, growth slowed to 6.7%, down from the previous year's 7.1%, back to its levels from 2014, before Modi came to power. The state banks have been so badly mismanaged that some analysts say the country's banking crisis is an opportunity for private sector banks, as CNBC reported. "If you take a 10-year view, currently the private sector banks' market share is 30 percent. Probably it will become 60 percent," Sukumar Rajah, senior managing director at Franklin Templeton Emerging Markets Equity, told CNBC. As a result, he said, "the overall health of the banking system will improve because the better banks will be a bigger portion of the market and the weaker banks will become a smaller portion of the market." Some also see opportunities for investment bankers looking to underwrite corporate bond issuance in the country..
"My view is that, incrementally, a lot of long-term financing of corporate India can also be met by the corporate bond market, which has developed reasonably well," he said. "Between the corporate bond market and the private banks, I think most of the requirements can be met as far as corporate India is concerned." When it comes to lending directly to individuals, Prasad said that is mostly done by the private banks and non-banking financial companies. Supposedly, "reform" Prime Minister Narendra Modi has tried to force state-owned banks to make genuine oversight improvements. Still, they've continued to struggle. Late last year, Modi's government authorizeda $32 billion "recapitalization" (bailout?) from Modi. His decision led to a rally in India's Sensex equity index that was led by the banks. But unfortunately for investors, the happy times weren't built to last. In February, a scandal of historic proportions exploded into public view. State-owned PNB bank revealed that employees inside its Mumbai branch helped facilitate the largest banking fraud in India's history, a fraud involving nearly $2 billion in loans to companies that didn't exist. What's worse, thanks to the banks nonexistent internal controls, nobody realized what was happening for more than six years. Since then, PNB has promised to improve its internal monitoring, and has quietly closed the Mumbai branch. But PNB has lost half its market capitalization and other state-owned banks have also been hid hard. So far, Indian authorities haven't been able to recover the stolen cash or arrest the culprits - who remain in hiding abroad. But confidence in state banks has hardly improved. And that's a huge problem, because the country's state banks do the bulk of the country's lending. And they also hold nearly all of the Indian banking system's bad debt. 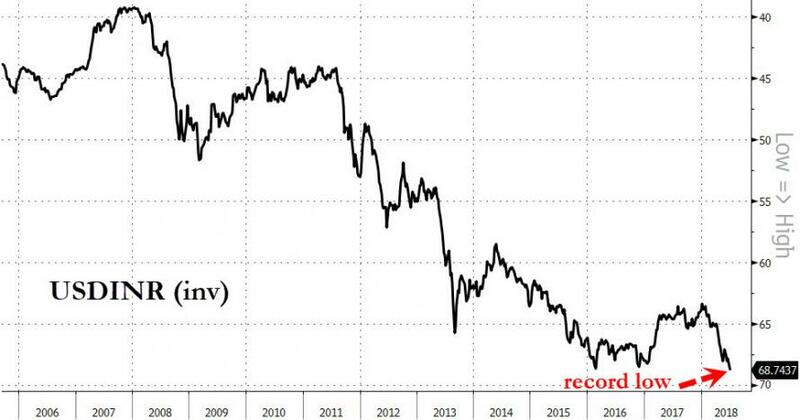 The problem has shaken confidence in the entire Indian economy, evidenced by the fact that the Indian rupee just hit a new record low. What will save the banks this time?